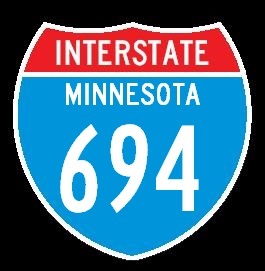 Interstate 694 forms the northern and eastern part of the loop around the Minneapolis-St. Paul Metro Area. It runs from a junction with Interstate 94/494 at both ends. It runs aprox. 31 miles in length. 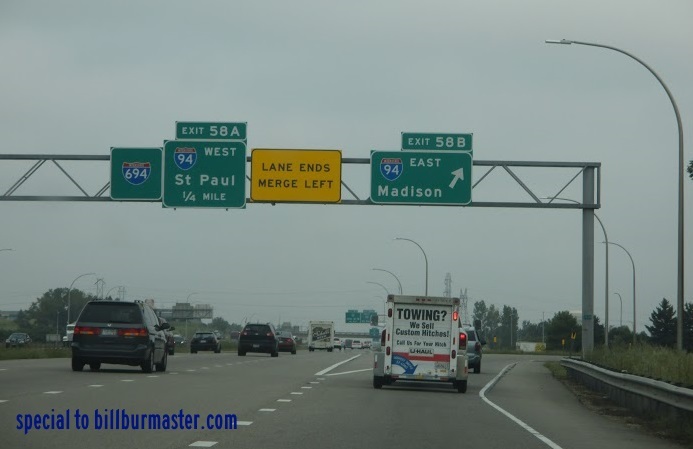 While in Minnesota, I-694 is multi-plexed. ...Interstate 94, from Maple Grove to Brooklyn Center. ...U.S. Rt. 10, from Arden Hills to Little Canada. 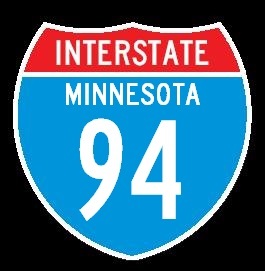 In Minnesota, Interstate 694 crosses the following interstates. Interstate 494, at Maple Grove. Interstate 94, at Brooklyn Center. Info on the parent highway of I-694. 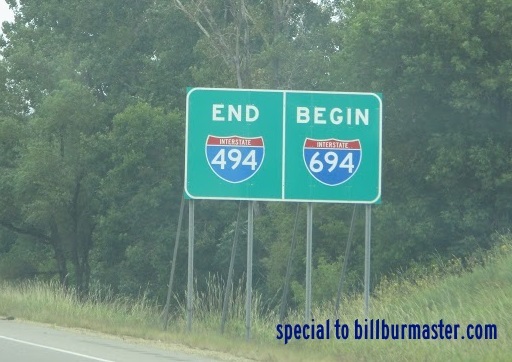 A being marker for I-694. A BGS for I-694 on EB I-494.